Many of the children participating in Afrika Tikkun’s core programs have limited access to food. Hunger and malnutrition are common. We provide these children with daily meals and where required (as verified by our Social Worker) weekend food parcels, emergency relief and school lunch boxes. 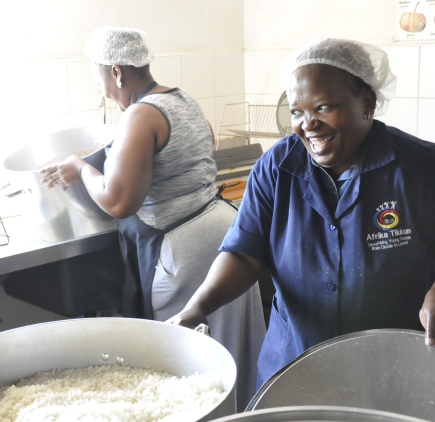 Afrika Tikkun Centres have vegetable gardens to enhance the meals prepared in our kitchens, as well as setting an example for community food gardening. Our Family Support Services address the child’s needs within the context of their family circumstances. Our family support workers assess each child’s family and create a “Family Development Plan”. Some services include accessing government grants, parenting skills, family preservation, income generation and self-sufficiency projects. Special attention is given to child-headed households. Children participating in our programs at some of our centers have access to our Primary Health Care services which include early identification and treatment for childhood illness (e.g. immunization, growth monitoring etc.). 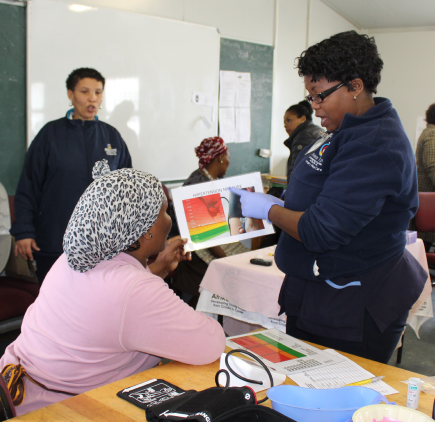 Health services are also extended to the child’s family members where needed, this includes provision of home-based care for chronically ill parents (e.g. HIV/AIDS, TB etc.). 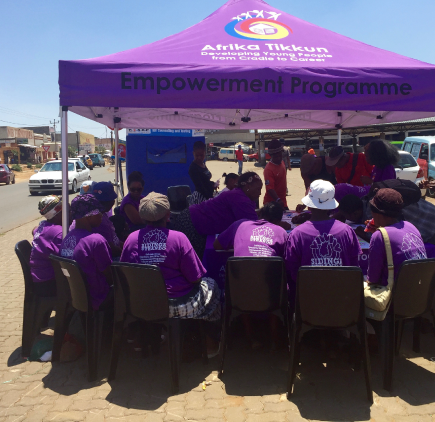 Afrika Tikkun empowers children, youth and their families to actively pursue their human rights across all our core programs. It facilitates children, youth and their families to work together as agents for change within their homes, community and country, by providing the tools to support each other, access resources and opportunities, and campaign for change wherever services, systems and attitudes exclude them or violate their human rights.